If you live in Kent, there are two opportunities to study the history of witch trials in the 17th century. A course called Bewitched: 17th Century Witch Trials is being run both in Tonbridge and Maidstone this October. The Tonbridge classes are on Thursday mornings for four weeks and the Maidstone classes are on Friday afternoons for three weeks. This course will examine the witch trial frenzy of the 1600s – in both Britain and the US – with particular focus on the celebrated cases of Pendle Hill in Lancashire and Salem, Massachusetts. We will examine the circumstances that gave rise to the arrests and look at the witness statements and defence evidence offered during the trials. We will also consider the general perception of witchcraft in Britain and the US during the early modern period. 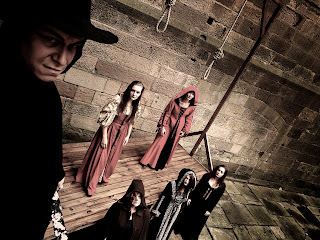 The picture at the top shows a reconstruction of the execution of the Pendle witches for the Lancashire Witches weekend at Lancaster Castle this August.